If you’re applying for your first mortgage, you need to be prepared. There’s more to securing money for your first property than a couple of forms and a meeting with the bank. With these top five tips you can get your paperwork in order, and present yourself as an attractive proposition to any lender. The mortgage lender will want to see that you can afford the repayments. You can demonstrate this by drawing up a realistic budget of your regular outgoings, and keeping evidence (such as credit card statements and utility bills) handy. If you have identified areas where you would need to cut back in order to pay your mortgage, such as less money spent on nights out, or cooking at home instead of buying take-aways, make the switch now, so you and your lender can see the benefit in your bank balance. You’ll be paying your mortgage for around 20 years, so the outgoings need to be manageable, not just now, but well into the future too. Once you’ve prepared a budget that reflects the current state of things, think about how your income and outgoings will be affected by any major changes being planned in the next few years. For example, if you are hoping to start a family, how will you manage on one income, or with additional childcare costs? While dressing smartly can certainly get you off to a good start, that’s not the first impression you need to focus on. Your lender will make an immediate judgment on you based on your credit score. Don’t wait for them to find out what it is, you can investigate it yourself. Then if your score isn’t what you had hoped for, there are measures you can take to give it a boost. You can improve your borrowing position just by closing down any credit cards you no longer use, and signing up to be on the electoral roll. 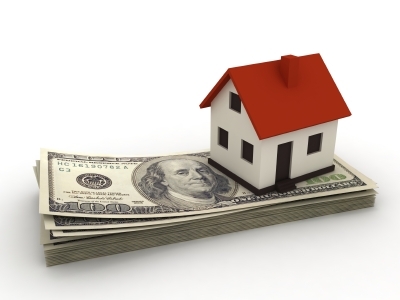 Lenders like to see a steady, reliable income. If you are planning a career change, or want to move on to a new employer, don’t. Make buying your home your immediate priority. You can always change jobs after you’ve moved in. Save as much for a deposit as you possibly can. Not only does having a large deposit increase your chances of getting approved for a mortgage, it also decreases the cost of borrowing. Mortgage providers offer lower interest rates to attract the best borrowers, people with big deposits to put towards their property. When calculating the amount you can put towards a deposit don’t forget to factor in the cost of legal fees, moving costs and any cash you will need to keep back for immediate improvements to the property. Securing a mortgage can be a time-consuming affair, but by being aware of what lenders are looking for, you can stay one step ahead throughout the process. Harry Price is a freelance writer and Artist living on the south coast with hi swife and 3 dogs. He regularly trains for marathons, with his dogs as his running buddies.